This has created the first great controversy in the wake of the just concluded FIFA Cup. Sport is not just about winning and losing, although the curious case of Mesut Özil, the German footballer of Turkish origin, might make it seem so. Özil has declared that he would not be representing Germany again because of all the criticism over his having met the President of Turkey, Erdogan, before the World Cup. Özil said he took the decision because of racist responses to his World Cup performances. He explained it best by saying, “If you win, you are German; if you lose, you are an immigrant.” This has created the first great controversy in the wake of the just concluded FIFA Cup. The news from other nations that took part in the same event is, however, mostly good. The Croatians did not win the cup, but they won billions of hearts with their underdog efforts to down the favourites, France. And France has been busy celebrating the distinctly multiracial composition of their team. 14 players of the 23-member French squad are either of African or Arab origin. The Croatians, however, are turning out to be as great as the champions, perhaps more popular among fans and in the social media. Soon after the World Cup got over, the Croatian players pledged all their winnings — a handsome $30 million as prize money plus bonuses which would have made each one of them millionaires — to the children of their country. The money will be spent on sending Croatian children on summer holidays. Naturally, the response to this grand gesture has been tremendous on social media. And not all are from Croatia. The small war-torn country, born in the 1990s and having a population of just 4.3 million people, has become extremely popular around the world. Their fan base has swollen way beyond the small Balkan state and their President Kolinda has also contributed by her sporting presence at the cup. Her dignified behaviour as Head of State in the VIP box and how she got along with the President of France, Emmanuel Macron, did not go unnoticed. Winning hearts in Russia has been a virtual Croatian monopoly. “Football enthusiasts from all over the world feel that it’s a wonderful gesture which shows that the sheer pride of putting on their country’s colours in the World Cup exceeds financial gain. Croatia being an underdog team with its incredibly talented players from different clubs, has proven that they are more than just a team of soccer players. “Support Solidarity” is truly on!” says football enthusiast Sharath Natesan. 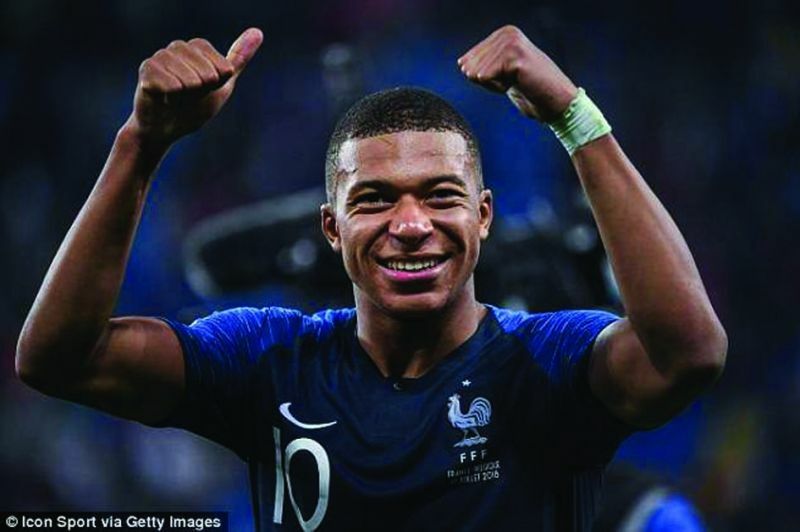 Touching hearts has also come easily to young footballer Kylian Mbappe, who joined the golden athlete Pele as the only teenager to have scored a goal in a World Cup final (the Brazilian great scored in 1958 in Sweden). 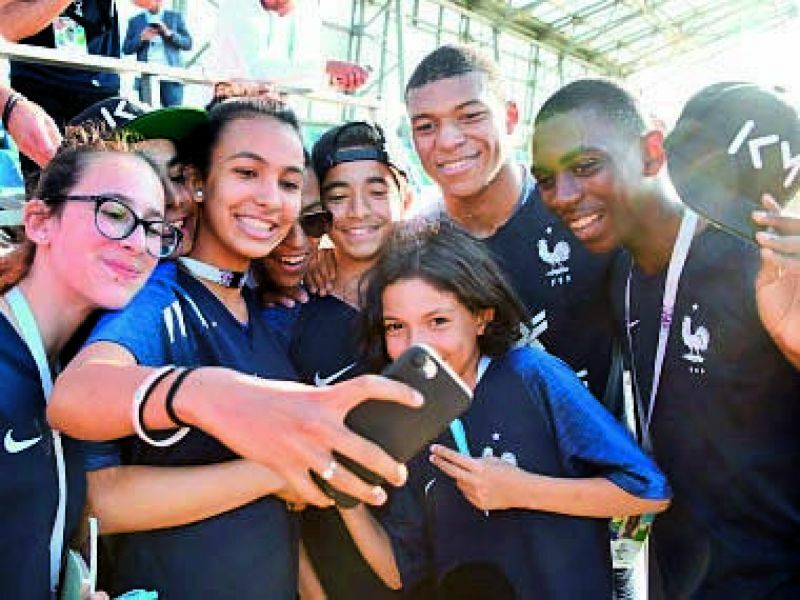 Mbappe has been donating all the money he receives for representing France to children’s charities, particularly in Bondy, the dreary suburb of Paris he comes from. And it is not small change as the fee per match is around $30,000, which means Mbappe’s contribution to charity is said to be nearly half a million dollars. Kylian Mbappé has been donating all the money to children’s charities. Premiers de Cordee, a charity that offers sporting opportunities to children who are hospitalised and have disabilities, has confirmed that the money would be in its kitty by September. ‘Merci Kylian’ reads the sign hanging on the fence of the sports pitch that Mbappe had donated to the Bondy community. Of course, football players make millions representing their clubs in various leagues at home or overseas. But Mbappe believes no one should be paid for representing his country, which in itself is such an honour. Even then, his gesture is touching and may inspire more players from diverse backgrounds to become like him — a world soccer player who is already on the way to great stardom, following the footsteps of Lionel Messi and Cristiano Ronaldo. Croatia have decided to donate all their £21m prize money and bonuses to underprivileged children so that they can go on summer holidays. @adeobhakta Great News! Unimaginable charity! Great Team and team spirit-all of them agreed for this.